If there is one trend I’ve never considered as one, it’s the straw handbag one. 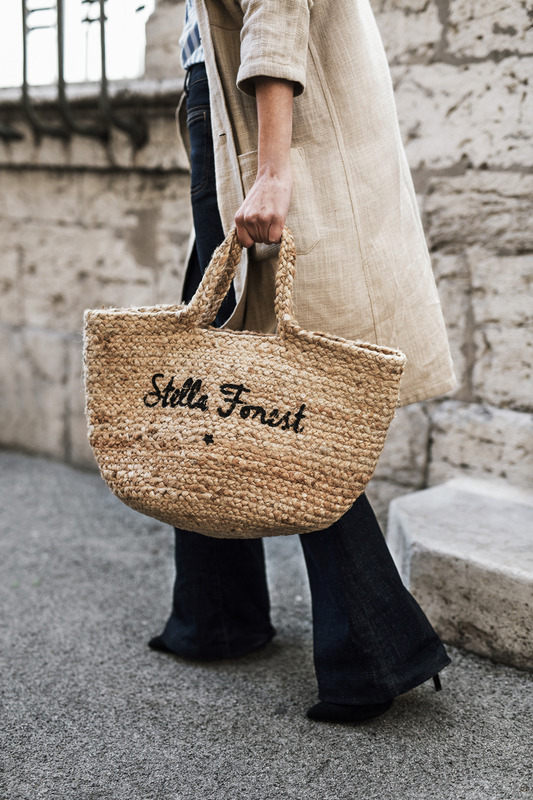 Don’t get me wrong, I love straw handbags but as I grew up in the south of France, It’s actually the kind of bags you can buy for 5 bucks at any traditional market in Provence. I’ve actually always had old frayed ones around in my house to go to the market or to the beach but I’ve never thought to get one as a fashion accessory. But a straw handbag for spring is now a must have in any closet, so when Stella Forest offered me this opportunity, I thought I would give it a go! I actually love how versatile and casual straw bags are! I’ve tried to style this bag with many different colours and style, and it simply goes with almost everything! 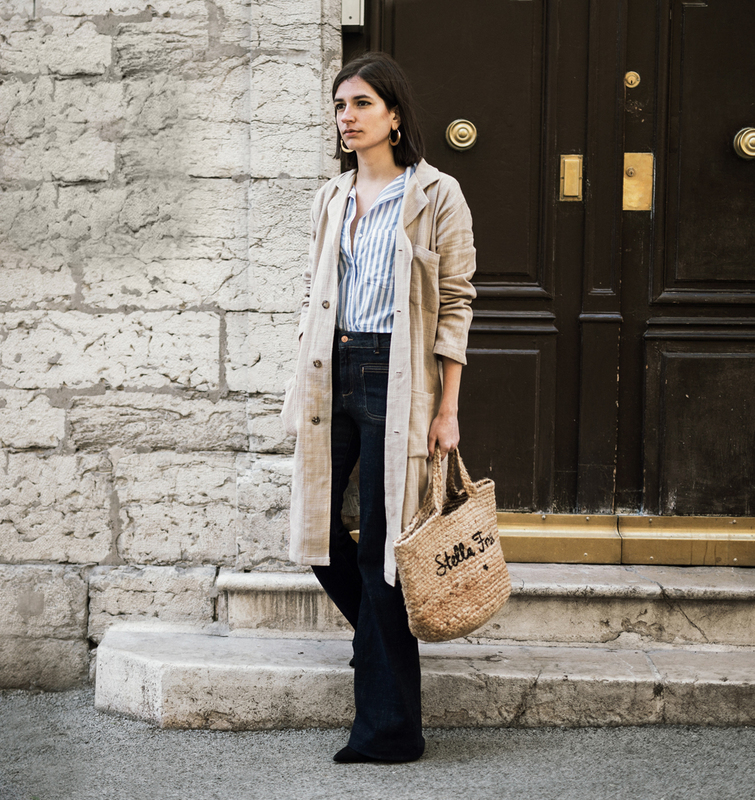 To style this bag, I picked an outfit according to the weather (Remind me to never brag again about how the weather is “lovely” here in Provence…). For this outfit, I went for a very casual and simple outfit. Casual is all I need now as I was pretty much knackered these last days. 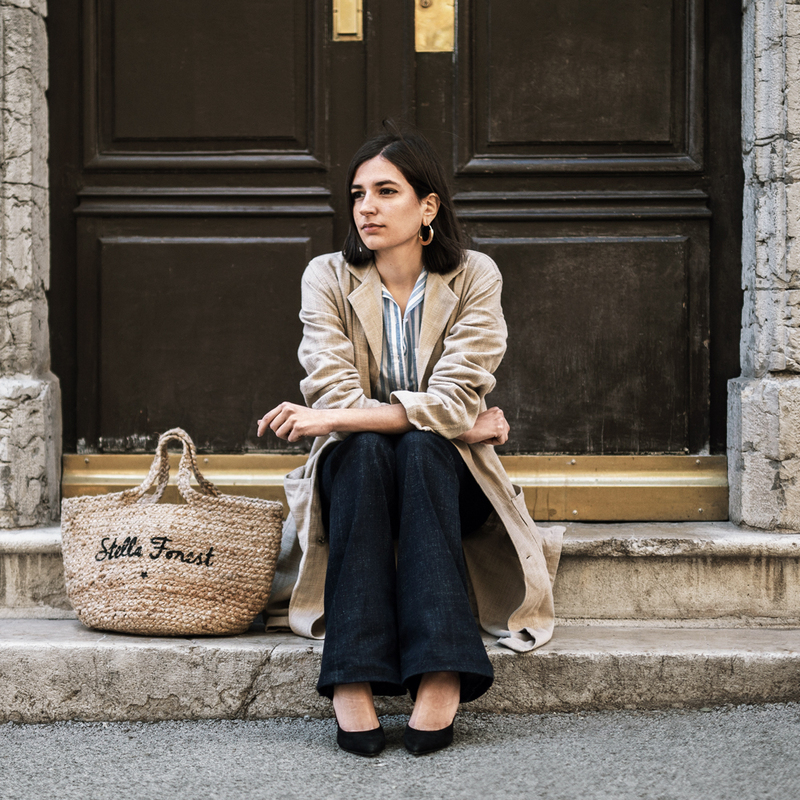 I picked two pieces that I just got from Mango Outlet: The linen trench and the flare jeans. I paired these with a striped shirt from H&M and a pair of pumps from Daniel Footwear. To finish the look I added the bag last as a statement and voilà, I was good to go! You know I never see myself having one either and you are right when I grew up you could also buy them for like 5 $ from the market now they are huge. Your looks classy and I really like the brand name on it plus your flared pants?.. Amazing! Same thing for me, the strawhand bag is the one that I grew up watching my mom and my grand-ma take to the market to carry veggies and fruit, I never thought of it as a fashion piece that can be so trendy and a must have !! Well I guess now anything can be fashionable if you wear it right !! I like the outfit, simple, casual and makes the bag standout 😍 J’aime bien !! I feel as if I need a straw bag too! This trench coat with the bag looks so effortlessly chic and cool! Totally need a straw bag this season. Great look! Such a lovely handbag! And I really adore your gorgeous Outfit, especially the trench coat! I love this trend, although I don’t have a straw bag. 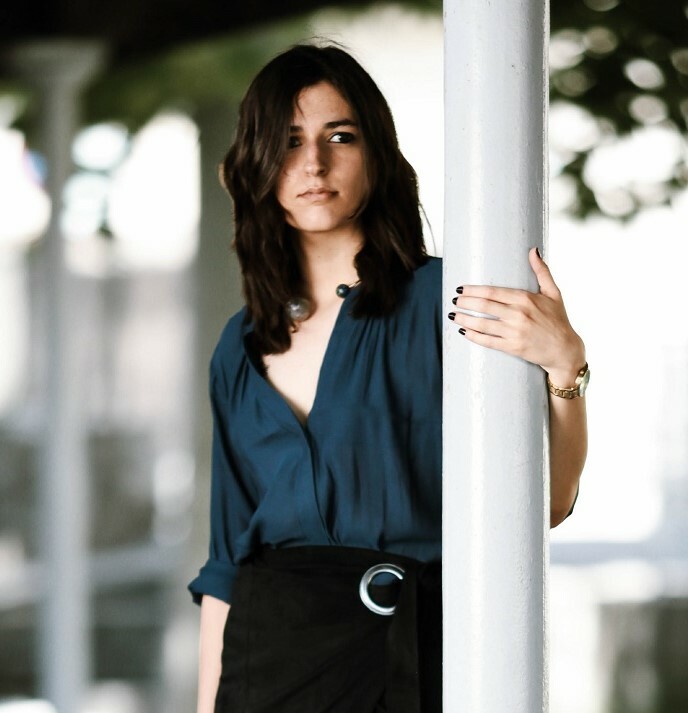 I just love the way I have been seeing bloggers wear theirs. And this outfit is so chic. You dress so well. I really love your style. Wow, I love the trench!!! what a fun look! LOVE this outfit! especially that flare jeans! i’ve been looking for a perfect one now! This is such a cute one…. straw bags are what velvet flats are to me: things that we use in normal wear, regardless of what is trending. I’ve never considered the straw bag trend either but I have to admit that it might be my favourite one in 2017 so far ! It is actually such a lovely and versatile piece. Yes – a straw handbag is a staple for me too. I love this one! Love this look, it´s georgeous! I’m with you here. Straw bags were always a bit matronly to me, but now with the new trend, I am loving all the embroidery and fun tassels I am seeing. I love your chic ensemble with the straw tote. I actually haven’t seen it on the streets on NYC yet. I’ll give it a few months when the weather really heats up.